Dr. Bryan G. Fry is an Associate Professor in the School of Biological Sciences at the University of Queensland in Australia. He completed his undergraduate training in Molecular Biology, Scientific Philosophy, and Psychology at Portland State University and received his PhD from the University of Queensland. Afterwards, Bryan worked as a research assistant at the University of Melbourne, and he was awarded a postdoctoral fellowship to conduct research at the National University of Singapore. Next, Bryan returned to the University of Melbourne as an Australian Research Council postdoctoral fellow. He was later awarded the Queen Elizabeth II Research Fellowship and the Future Fellowship from the Australian Research Council. Bryan was the recipient of the 2011 Fenner Medal from the Australian Academy of Science for his research, and he is a member of the elite adventurer society The Explorers Club. In addition, he has been featured in documentaries on Animal Planet, BBC, Discovery Channel, and National Geographic TV. He has also been the author of numerous articles and two books: the textbook Venomous Reptiles and Their Toxins, as well as the memoir Venom Doc. Bryan is here with us today to talk a little about his research and tell us all about his experiences in life and science. It can be hard to separate life from science because science is both a passion and a career for Bryan. When he’s not working in the lab, you can find him going out for a bushwalk enjoying the natural world with his wife and two dogs. Bryan’s hobbies also include rock climbing, skydiving, and big wave surfing. Bryan studies the evolution of venomous animals over time. His research also examines how we can use venomous substances as physiological probes, to learn about disease states, and in the development of potential therapeutic agents. At just two years old, Bryan was infected with meningitis which was intensely painful and had long-lasting impacts. This early experience combined with his fascination with snakes fueled his curiosity for toxins and venoms. At four years old, he declared he would make a career out of studying venomous creatures. Bryan recalls seeing photos of poisonous snakes that his mother’s family encountered while living in Africa, and he was always on the lookout for creepy crawlies in his own backyard as he traveled and moved to new places. This past year, Bryan submitted six grants and was not awarded any of them, despite spending four months working on these proposals. As a result, the lab is running out of funding to support their research. The long-term future of the lab is secure because they recently received an equipment grant that allowed them to purchase the most advanced blood testing array instrument available. However, the short-term survival of the lab will be a challenge. Seeing the lab struggle for funding despite producing quality, high-profile research is particularly disheartening for the students. Bryan’s favorite snake is the brightly colored long-glanded coral snake. It is the epitome of venom diversification with its incredibly long venom glands, as well as the unusual mechanism of its venom, that allow it to feed on other venomous creatures, such as king cobras. Bryan’s group was able to determine that the long-glanded coral snake’s venom impacts a sodium channel in cells, opening the channels and preventing their closure, resulting in a rigid, spastic paralysis. This mechanism is different from the sedative, limp paralysis mechanism seen with most other venoms. In fact, the sodium channel impacted is the same type involved in myotonic muscular dystrophy. This means they can use the venom in models of muscular dystrophy. Antarctica was Bryan’s favorite travel destination. The landscape was so beautiful and pristine. Bryan also shares some less favored but quite memorable stories of being kidnapped in Columbia and leaving Pakistan very shortly before their area and safe house were targeted by suicide bombings. While Bryan was in Pakistan, he gave a lecture at the University of Karachi. He was impressed that Pakistan had its own video intranet with hookups all over the country so anyone could watch scientific talks at the universities. When it was time to take questions, Bryan was apprehensive when the video screen revealed a person who looked like a stereotypical Hollywood villain. Bryan quickly realized that appearances can be deceiving, because the person was so nice and very complimentary of his work. If you want to stay, you have to leave. Spend time at other universities and overseas to learn new things and pick up new skills that you can bring with you to your next position. Make sure to think about where you want to go because if you don’t know where you want to go, you don’t know what you have to do to get there. Bryan leads the Venom Evolution Laboratory, working on venoms from a wide diversity of reptiles, centipedes, cnidarians, insects, scorpions, spiders, and even venomous mammals. He has published extensively on venom systems evolution and how they can be harnessed for therapeutic use. 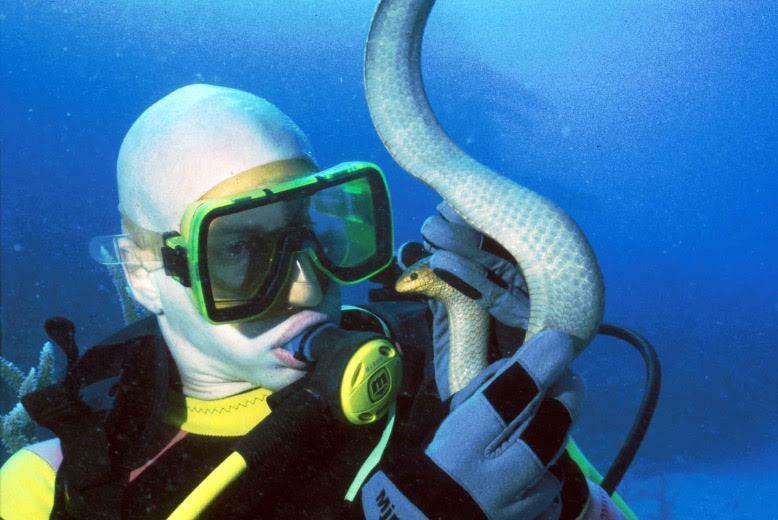 His discoveries include antifreeze venom in Antarctic octopuses, Komodo dragon venom, and new species of sea snakes. Fry’s publications have appeared in prestigious scientific journals, including Nature. He has led field expeditions to over forty countries and he is a member of the Explorers Club. His work has been featured in over seventy natural history documentaries appearing on Animal Planet, BBC, Discovery Channel, National Geographic TV and others. His work has been funded by grants from a diversity of funding agencies, including the Australian Research Council and the Australian Antarctic Division.